EATING ON THE ROAD: CAN FAST FOOD FIT INTO YOUR BODYBUILDING DIET? 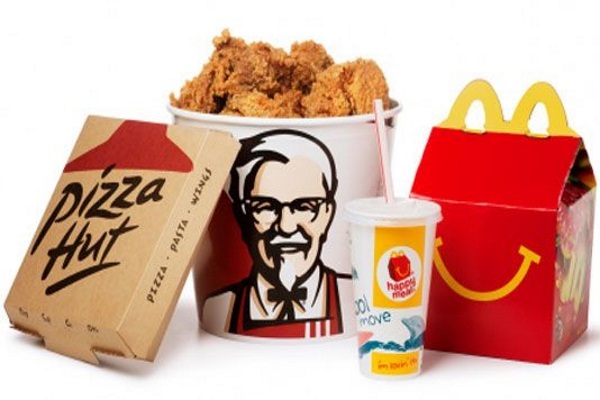 Can you actually use fast food when you’re in a bind? There’s no getting around it. Bodybuilding isn’t easy. Sure, the concept may be simple enough. Eating, training, resting, all of it in order to obtain the ultimate body. But there’s a science to all of it and like any science there are rules that must be adhered to. You have to choose the right training program for you genetics, you have to get rest that you deem adequate to perform at a high level and your diet has to be planned out meticulously. If you ask anyone, it’s always that last part that can prove to be a bit tricky. In order to get the most out of your nutrition then you’re going to have to get all the right macronutrients into your diet that’s going to have a positive effect on your body and training. That means you can’t shovel whatever food you come across into your stomach. You have to eat the right kinds of foods to get the right kind of benefits. When everything is planned out then things can run pretty smoothly without a backward glance. But there will come a time that you need to get some fuel for your body while you’re on the move and without a pre-planned meal on hand it can seem like a daunting task to find the kind of food you need to maintain your physique. No bodybuilder wants to eat junk when they’re on the road, but starving your body of calories could also prove to be just as detrimental to your gains if not more. So what are you supposed to do when you’re on the road, starving for some food, and have nothing but fast food as your meal option? Well according to Dave Pucinella, it’s not impossible to find what you need at a McDonald’s for all your bodybuilding needs. Now we know what you’re thinking. McDonald’s is an adequate food option? Well according to Pucinella, if you’re smart about what you pick up at the famous food chain then you can not only fuel your body, but do so without doing damage to your gains. Take a look at what Dave suggests you do for your on the go meal.